The Transactional Nature of Real Estate-It's little secret that the commercial real estate industry resides in a transactional environment. Between discovery, property search, prospecting, workflow, verification, and tracking, it would take a professional juggler to keep up with it all. Even a small hitch in any single area could cause a deal to crumble. 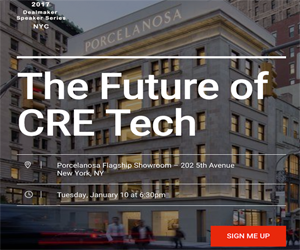 Professional Interaction-As real estate professionals become increasingly mobile, the need to leverage resources has become more important than ever. Not only must brokers be able to communicate effectively with clients, they must also be able to communicate with one another in the most streamlined manner possible. Mobility-Progress is also being made in the area of mobility, giving real estate professionals the ability to work anytime from any location. This is an area that will need to continue to experience development, as commercial real estate becomes increasingly globalized.